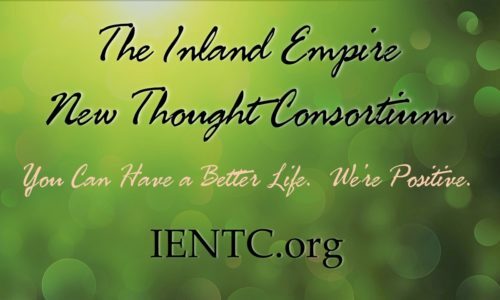 The mission of the Inland Empire New Thought Consortium (IENTC) is promote and celebrate New Thought philosophy, and to foster empowerment and growth of New Thought Centers/Churches in the region, through the collaborative promotion of special events. These special events typically include concerts, music festivals, workshops, film screenings, lectures and, similar presentation, apart from regularly scheduled services. Members commit to support and promote all IENTC events, with the goals of: encouraging interactivity between centers/churches, their leaders, and their members, in order to create a wider and more cohesive Inland Empire New Thought network; disseminating New Thought principles and ideas to the broader public, and; growing their own centers/churches.